Parvo can affect many animals, and the strain specific to horses is called equine parvovirus. It is often more serious in young or pregnant horses, or those with anemia or diminished immunity. Treatment includes fluid replacement, antibiotics and supportive care to allow the immune system to extinguish the virus. Parvo is a viral infection that can plague any mammal, including horses. It's contagious but limited to individual species. Horses cannot transmit parvo to dogs, cats or any other animal, and vice versa. The only exceptions are animals within their own family group. For example, a horse can transmit parvo between another member of the Equidae family, such as a zebra. The virus can affect any age, but can more severely affect the young, pregnant or those suffering compromised immunity. Parvo in horses has been around for quite some time. The National Institutes of Health's National Center for Biotechnology Information, which studies and provides information on biomedical and genomic information, published a study in 1985 that clearly detected equine parvovirus. 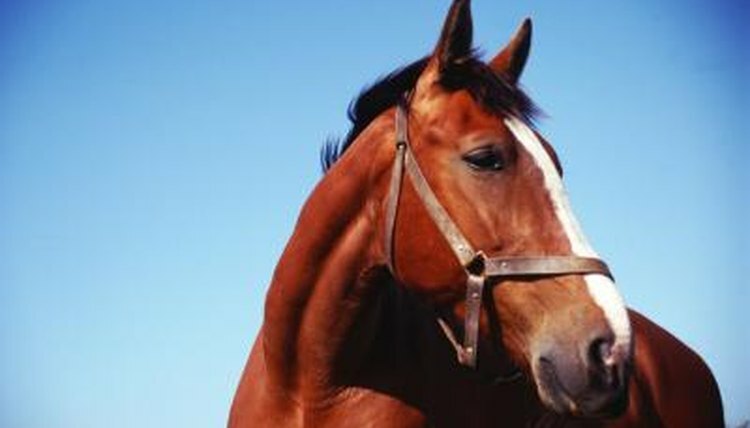 The NCBI isolated a viral agent from an equine and tested it against blood from other species. The viral agent was found to be distinct from parvo seen in dogs and cows, and was classified as equine parvovirus. While those with compromised immunity, anemia or infections may be more likely to display signs, stronger bodies may not experience symptoms. Those who do suffer symptoms may have fatigue, upset stomach, diarrhea -- sometimes bloody -- dehydration, slight fever or joint soreness. Systemic complications and signs include intussusception -- a condition in which the intestines become inverted into one another -- along with blood-clotting problems, neurological signs and ulceration of the mouth, skin and footpads. Parvo treatment is a multi-faceted process that first focuses on buying the horse enough time to allow his immune system to strengthen. Replacing fluids is essential, especially if there has been vomiting or diarrhea. Fluids are often given as a drip, and supplemented with potassium and sugars. Antibiotic therapy comes next, along with meds to control nausea. Lastly, follow-up tests of blood, feces, urine and blood proteins can help determine the horse's progress.